What is happening ’on South’? The development of the area is in full swing. 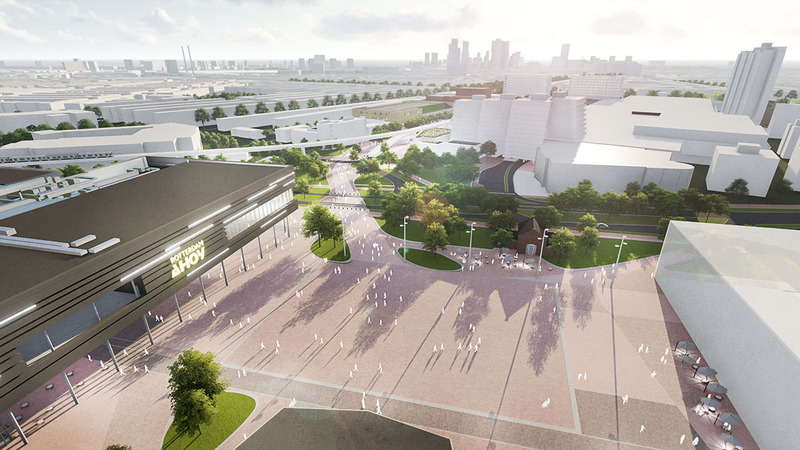 Last week the groundbreaking ceremony for the expansion of Rotterdam Ahoy to conference center, hotel, cinema and music hall - with a capacity of seven thousand visitors – took place. This expansion is part of the Hart van Zuid project in Rotterdam Zuid, for which karres + brands has been taking care of the area development area since 2013. 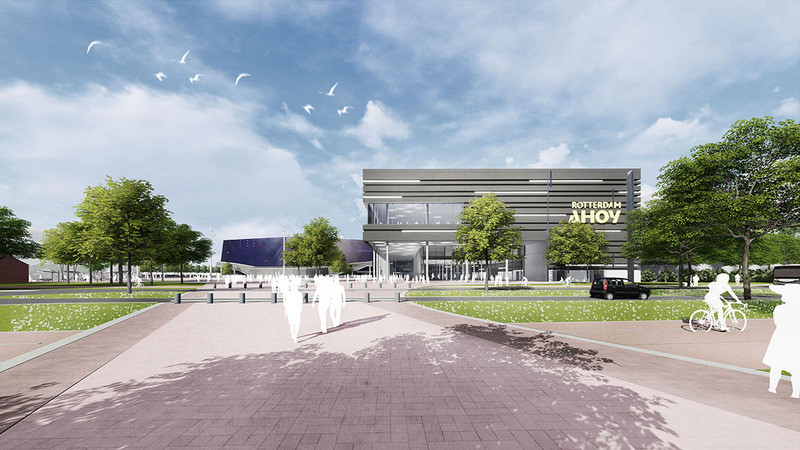 The transformation of Ahoy is the third major project within Hart van Zuid that will be realized. 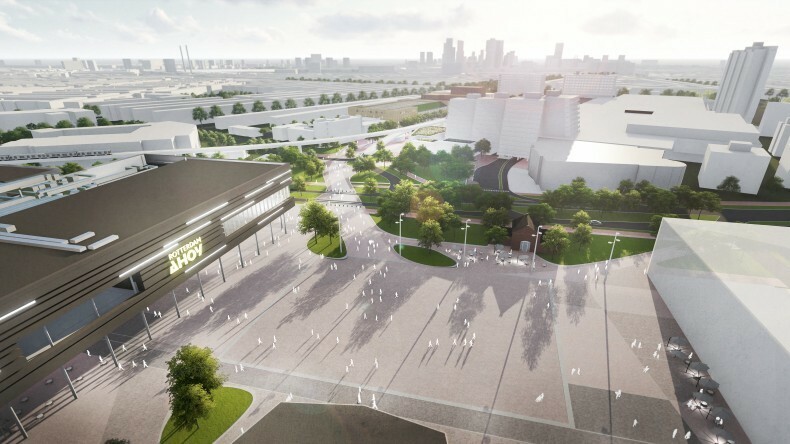 In addition to the development of the Ahoy complex, the Zwemcentrum Rotterdam was completed earlier this year and construction of the Kunstenpand has begun. The Hart van Zuid area development in Rotterdam is one of the largest inner-city developments of our time. The large-scale development at the south-side aims to create a new, vibrant city center with all functions together; a place where residents, visitors and entrepreneurs feel completely at home. The project should give Rotterdam-Zuid a quality impulse, provide extra jobs and better facilities for the residents. The Boijmans van Beuningen museum announces that it will move to Rotterdam Zuid for a few years in 2019 with an annex, the first laps have been drawn in the new 50-meter pool of Zwemcentrum Rotterdam and the Kunstenpand is under construction. karres + brands has the role of connector in this great metamorphosis. We design the public space where hospitality, ease of use and meeting are paramount. A green and car-free public space will soon connect Ahoyplein and the Plein op Zuid. With new catering facilities, visitors can have a bite to eat or have a drink before they go to a show. The new Hart van Zuid will soon have two ’hotspots’. The Plein op Zuid and the Ahoyplein will become the most important meeting places, connecting points and centers of activity. The layout of these squares and the connecting routes around them will soon invite you to enjoy the sparkling offer "op Zuid".